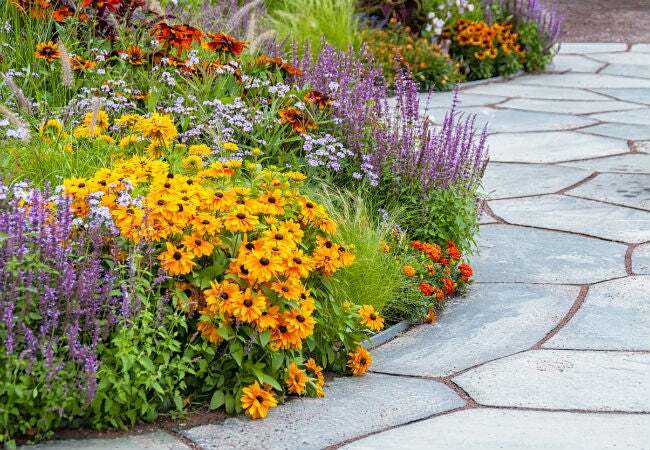 Learn how magnesium-sulfate can boost plant health, deter pests, and bring a host of other benefits to your lawn, flowers, veggies, and more. You’re probably familiar with the amazing, healing properties of Epsom salts. But did you know these minerals are a powerful superfood for your garden too? Inexpensive, natural, and non-toxic when used correctly, Epsom salts—the common name for the magnesium-sulfate compound (MgSO4)—can be a great boon to virtually anything you hope to grow. Magnesium-sulfate (which looks like ordinary table salt) can help increase nutrient absorption in plants. Before working with Epsom salts in the garden, be aware of some precautions. Agricultural or technical grade Epsom salts are intended for garden and outdoor uses but only brands marked “USP” are suitable for humans, having been tested and certified by the FDA and United States Pharmacopeia (USP). Also, despite its overall safety, Epsom salts have natural laxative properties, so be sure to keep bulk salts away from children and pets. Magnesium-sulfate is absorbed through the skin as well, so wear gloves when applying it to your plants. Finally, it’s also wise to test your soil first to learn what minerals are low or lacking; use Epsom salt in the garden only if the soil tests low in magnesium. Clear these safety concerns and you’re bound to find that, unlike most types of chemical fertilizers, Epsom salts will not build up in your soil or poison your groundwater, yet will yield stronger seedlings, more bountiful blooms, tastier fruits, decreased pest damage, and increased resilience. Here are 10 simple, potent uses for Epsom salts every gardener should know. Magnesium boosts seed germination by strengthening cell walls and providing increased energy for growth. 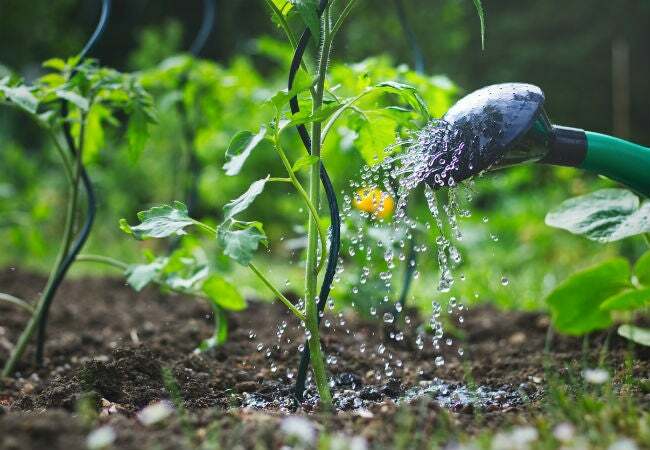 Sulfur is easily lost during the germination process, so apply a drench of one tablespoon of Epsom salts for every gallon of water to the soil after seeding. Alternately, you can mix one tablespoon of Epsom salts into each hole before planting seeds. For grass seeds and wildflowers, sprinkle one cup Epsom salts per 100 square feet, blend into the soil, and water thoroughly. Reapply an Epsom salt drench to seedlings every month during growing season. Scientific tests indicate that magnesium-sulfate can increase cell uptake of key minerals, including nitrogen, phosphorus, and sulfur. In one recent study, testers in five states gave pepper plants a standard drench of one tablespoon Epsom salts to one gallon of water, twice a month, and a majority of the treated plants showed thicker foliage and larger vegetables. Transplanted roots need tender care. To prevent root shock, which causes wilting and leaf discoloration, mix one tablespoon of Epsom salts for every one gallon of water and apply to the roots of newly re-potted plants until saturated. Or try adding one to two teaspoons of dry salts directly to the hole before transplanting a bush or flowers. After tamping down the soil, water thoroughly. Instead of using plain table salt to dehydrate and kill snails and slugs, banish the pests with Epsom salts and you’ll give roots and blooms a boost in the process. 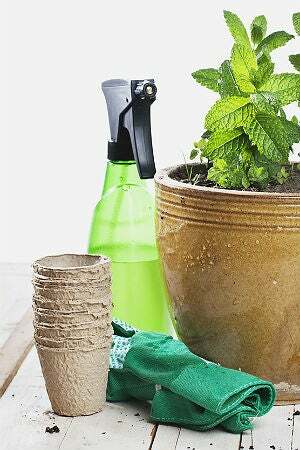 For general pest control, mix one cup of Epsom salts with five gallons of water and spray onto foliage. 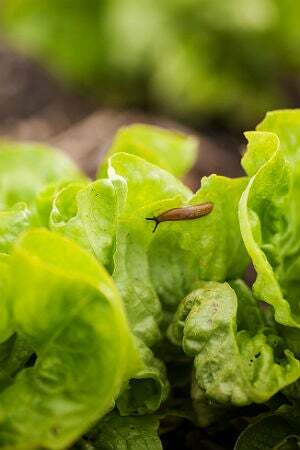 For slug and snail control, sprinkle dry Epsom salts in the garden around the base of plants. Mineral deficiencies can interfere with photosynthesis, leaching green color from leaves and interfering with nutrient absorption. If more mature foliage is turning yellow and curling, this may indicate a magnesium deficiency. Try a foliar spray of one tablespoon of Epsom salts mixed with four cups of water for each foot of plant height. Magnesium absorbs well if applied directly to the leaves. 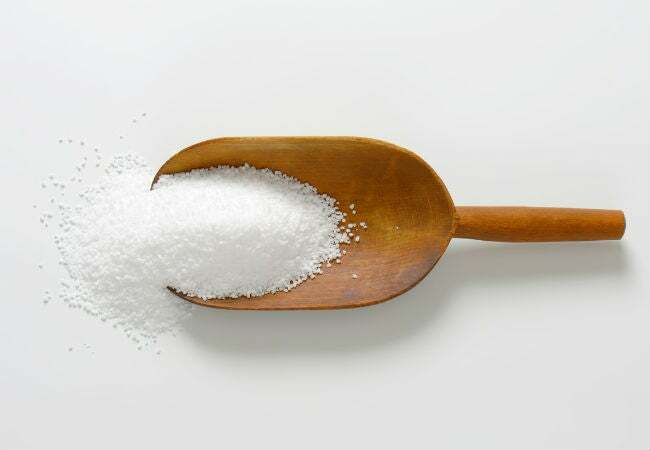 Every month during growing season, mix one tablespoon of Epsom salts to each gallon of water and apply liberally to the roots of fruit and nut trees, grape vines, and berry patches. Another technique is to apply two tablespoon of dry salts over a nine-foot root-bed area, three times a year. Sweet peppers and tomatoes also benefit from adding some Epsom salt to the garden soil. Before planting seeds, add one to two tablespoons of Epsom salts to the soil of each hole. During the growing season, apply a foliar spray of two tablespoons of salts to each gallon of water. Apply to leaves once a month. If your soil tests positive for magnesium deficiency, Epsom salts will help your lawn achieve maximum growth and lushness. The Epsom Salt Council recommends applying three pounds of salts for every 1,250 square feet of lawn with a spreader. Sprinkle the salts lightly, then water your lawn with a hose or sprinkler system. Epsom salts are pH neutral and gentle on plants, including potted houseplants. To boost nutrient intake, mix two tablespoons of Epsom salts with one gallon of water and spray onto leaves, rather than onto the roots, for maximum absorption. Alternately, add the salts directly to the soil: one teaspoon of salts per each foot of plant height. Try adding Epsom salts to your houseplants every month, monitoring subtle changes in leaf vibrancy and growth. Professional stump removal services can cost between $60 and $350, depending on the size of the trunk. For a do-it-yourself means of removing a tree stump, though, you can enlist Epsom salts to kill the remains of a cut tree first. Bore holes all around the top of the stump with an electric ½-inch drill bit; these holes should be about half the depth of the stump and spaced a few inches apart. Then, pour dry Epsom salts into the holes and slowly add water to moisten, but not saturate, the salts. Cover the stump with a tarp to repel rain and ensure the drying process. The salts will dehydrate the wood over several weeks, and as the wood dries out, you’ll be able to chip away most of the stump with an ax and soon dig up and dispose of the root system. The magnesium in Epsom salts benefit both new and established rose bushes, helping to supplement a slow-release rose fertilizer containing nitrogen, potassium, and phosphorus. 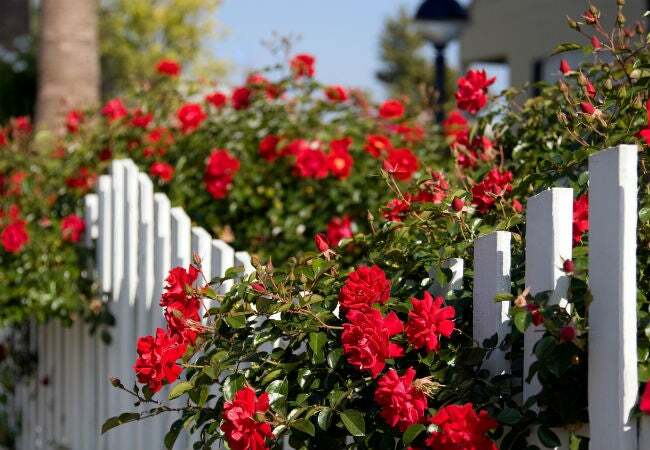 Before planting a new rose bush, add one tablespoon of Epsom salts to the bottom of each hole. For established roses, add one tablespoon of salts for every gallon of water and spray foliage when plants begin to leaf in spring and once again during flowering.